Dual resolution approaches for molecular simulations combine the best of two worlds, providing atomic details in regions of interest and coarser but much faster descriptions of less relevant parts of molecular systems. Given the abundance of water in biomolecular systems, reducing the computational cost of simulating bulk water without perturbing the solute’s properties is a very attractive strategy. Here we show that the coarse-grained model for water called WatFour (WT4), can be combined with any of the three most used water models for atomistic simulations (SPC, TIP3P and SPC/E) without modifying the characteristics of atomistic solvent and solutes. 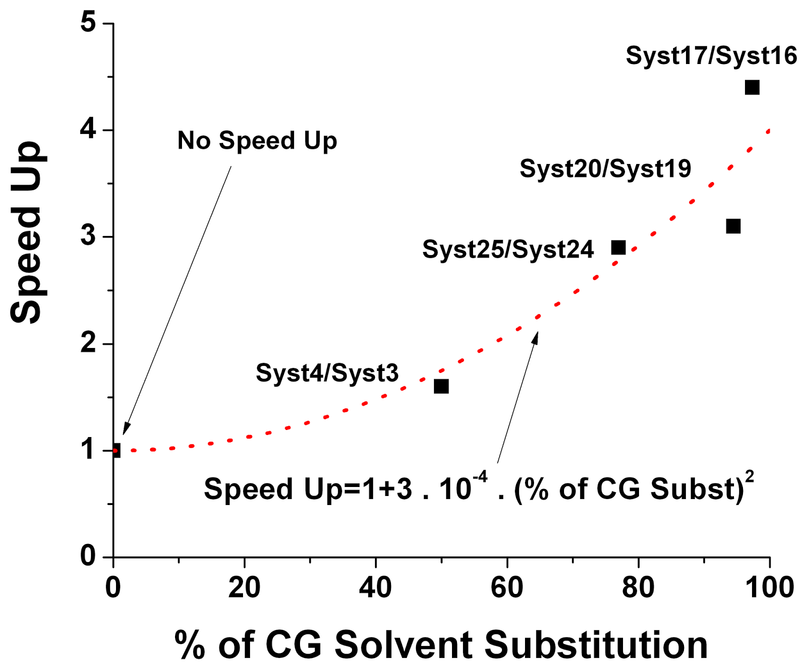 The equivalence of fully atomistic and hybrid solvation approaches is assessed by comparative simulations of pure water, electrolyte solutions and the β1 domain of the streptococcal protein G, for which comparison between experimental and calculated chemical shifts at 13Cα are equivalent.